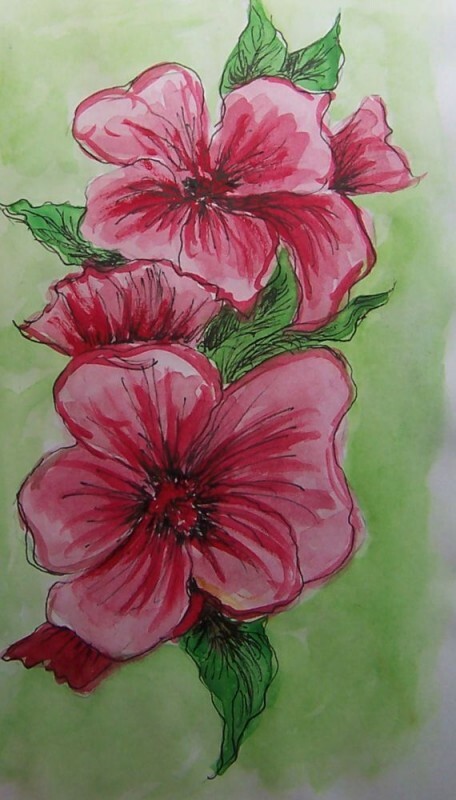 This entry was posted on Thursday, May 31st, 2012 at 1:37 pm	and is filed under Color, Flora, Paintings, pen & ink, Sketches, Watercolor. You can follow any responses to this entry through the RSS 2.0 feed. You can leave a response, or trackback from your own site. GORGEOUS. Love the red hues! I always love this technique when you do it! It turns out to be a keeper every time!